The month of short days, family, Christmas and keyboard presents has finally arrived. This blog post is also a special one, because the one and only face of Wooting and his wife are on a holiday around Taiwan. This month Erik and Jeroen combined their powers to give you the latest, spiciest news about everything surrounding Wooting. Get a warm cup of chocolate, some pepernoten, get cozy and read along. THE KEYBOARDS HAVE SHIPPED, I REPEAT, THE KEYBOARDS HAVE SHIPPED! 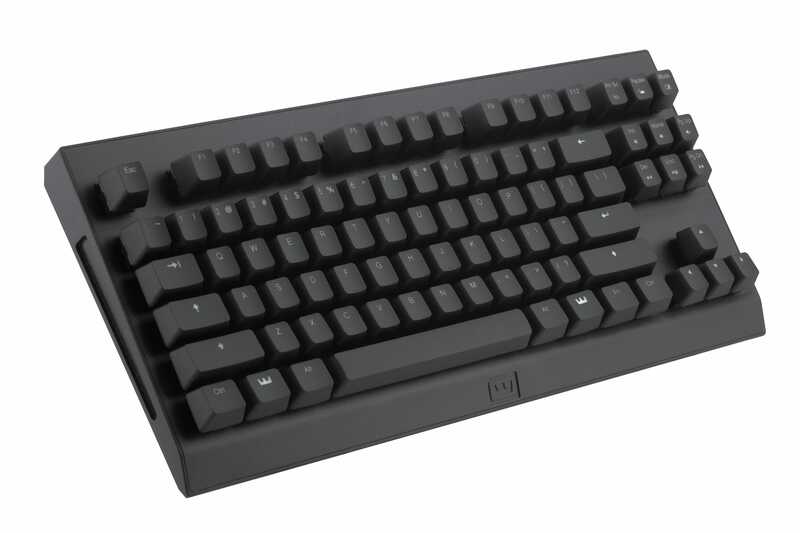 Starting this Monday (4th of December, right on time for Sinterklaas) we will have every keyboard type on stock again. 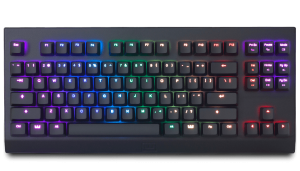 This also means that everybody who has been waiting for his or her Wooting one will also get the keyboard in time for Christmas. Best present ever. Get them while they’re still hot! A few reviews of the Wooting one came out this month. 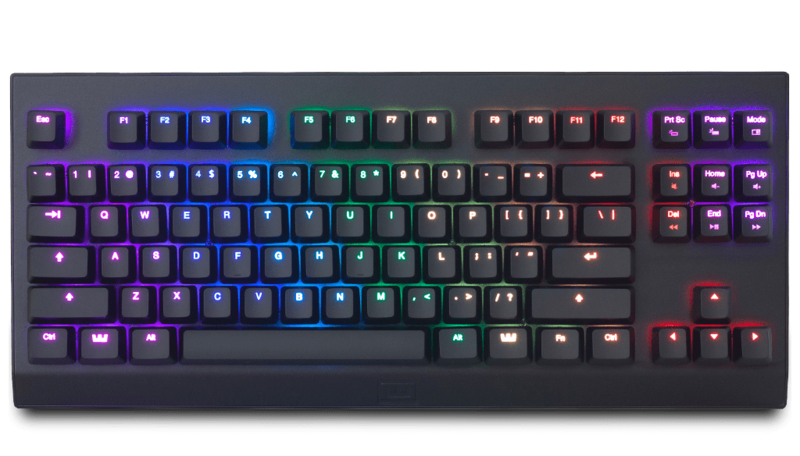 Techpowerup opened up our keyboard and made pictures of every little detail. The best part is, they gave us a 9.4! Make sure to check out this awesome in-depth review. The review of hardware.info is a repost from our Dutch friend, but this time in English. Spoiler: we received the excellence award! Cyprus Gamer made us popular in… Cyprus and gave us a gold medal. (It’s written in greek, but google translate can fix this for you.) Ευχαριστώ! Last but not least: Best dad NA. Ben writes awesome reviews and we’re very happy with what he wrote. It’s finally here, our new website! If you haven’t already be sure to check it out. Let me take you through a short journey how it came to be what it is today. 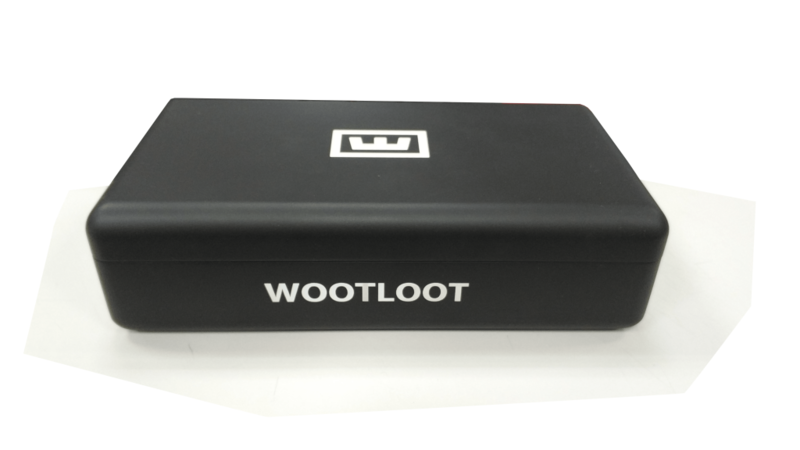 The old website only had to do a few thing:, let the world know we exist, explain what the Wooting one is and pre-order it. This was fine a year ago, but these days it’s very different. 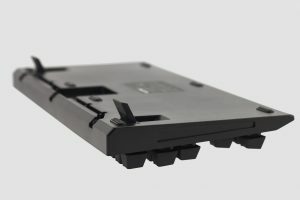 Now we have actual customers who want to know more about the keyboard they bought, have an issue that needs to be fixed, download the Wootility (software), get the latest news, etc. I can go on for days but the bottom line is our old website was lacking information and the information we had on there was outdated. Brainstorm about the feeling, the story and what we currently lack. Translate the mockup to a website. We started by the book and made some cool stuff. Unfortunately, our old website was running on WordPress (nothing wrong with WordPress) but it limited our creative freedom. We felt like had to give up design and functionality to make it work on WordPress. We took a step back and searched for different options. Sure we could code everything our self, but this isn’t our expertise and will consume a lot of time. On top of that, if we want to add more pages for special promotions, information pages, etc, we can’t make them fast. We searched for a service that has a drag and drop site builder with a certain amount of customizability. We found a service called Pagecloud, started the free-trial and were amazed by the simplicity and power. Erik started experimenting to get the most out of the platform. He build the site we had envisioned and it turned out to be a hot mess. The style was all over the place, each page had its own unique thing and the coherence was nowhere to be found. Erik made the classic mistake of designing in the wrong order. Again we had to take a step back, started from the beginning and doing it by the book. This finally got us to where we wanted and within 3 weeks a new web-environment was born. Over the next few months new pages will be added, so if you are missing something now be sure to let us know. Tino, our awesome intern is working hard on our social media channels, from discord to twitter and everything in between. We came to the conclusion that we wanted to have one main platform to focus on first. After some research and experimenting, Facebook came out as a clear winner. (In case you haven’t, be sure to like us on Facebook, to stay in the loop, we want to reach 2000 likes by the end of year). Don’t be scared we won’t ditch our other platforms, we will remain active on all of them. It’s just that Facebook is one stripe ahead of the rest. 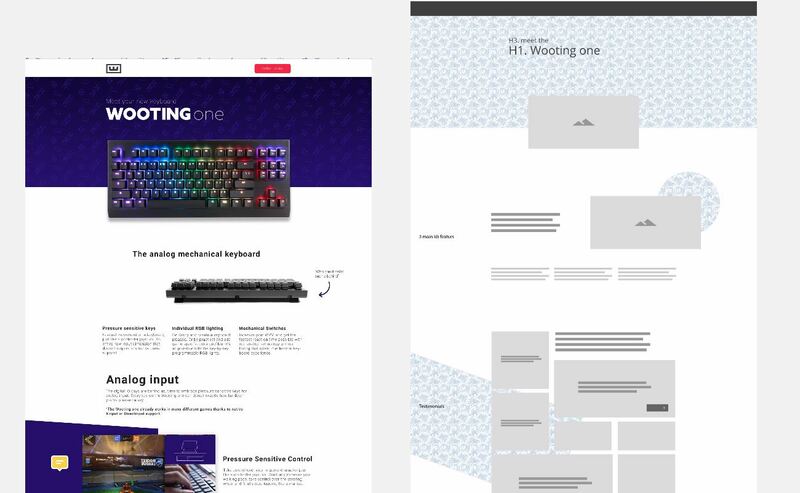 Last month we gave every Wooting-owning-cool-guy a survey to tell us how you all feel about the keyboard and everything surrounding it. One of the things that came back the most is the lack of information about how to use the keyboard the best way. For those of you following this blog closely, last week Calder talked a bit about how lot’s of work can lead to a lack of focus. To counteract this, we thought of having a day where we don’t think about anything and just DO, a Dooting Day (pretty lame name, I know). The result of that day is the video you see linked below. This video will be added to the Wootility in the next update when you launch your favorite software. Ps. you can turn the video screen off whenever you’re sick of the video. A few months ago a fellow Dutch researcher contacted us with some pretty cool ideas for analog keyboards. For a while, he has been working on using the way you type on a keyboard as an extra layer of security. This means that the computer will not only check your password but also if it’s actually you typing it in. With a normal keyboard, he could only detect when and how long a user pressed a key. Now, of course, an analog keyboard will add a whole new dimension. The project is just getting started and knowing the education world, it’s probably going to be a while before we can actually use it. It still is a really cool project and we can’t wait to share more in the future! We can finally show some first samples of our new switchbox. We tried to get some standard tin boxes from Alibaba, but we were not happy at all with the result. The boxes where weak ,felt clunky and thus didn’t fit us at all. After some brainstorming and designing, we decided to make our own tooling for a new box. The photos below is a plastic CNC sample of what it will look like. The next step is a sample we can actually mass produce. This sample will take another 3-4 weeks to make, so hopefull, we can show it in the next blog! Here are some of the images Erik took with his new studio lamps and a softbox-defuse-white-tent-thingy. Next Post ♪♫Jingle-caps, Jingle-caps, Wooting all the way. It’s December. Selling the switches individually is a great idea! I would be very happy to try them out. I suggest small package deals like 10 at a time for those of us that can’t always pull out a big chunk of money at once. That is a great idea, especially when we can start on introducing new switch types. I think we’ll focus on getting the box ready and out there first, but after we will definitely look at smaller packages. If I am correct, the idea is to introduce Brown switches at some point in the future. Do you expect to release a new version out of the Wooting keyboard around the same time? If not, do you expect to introduce the Brown switches as a key pack when they are released? 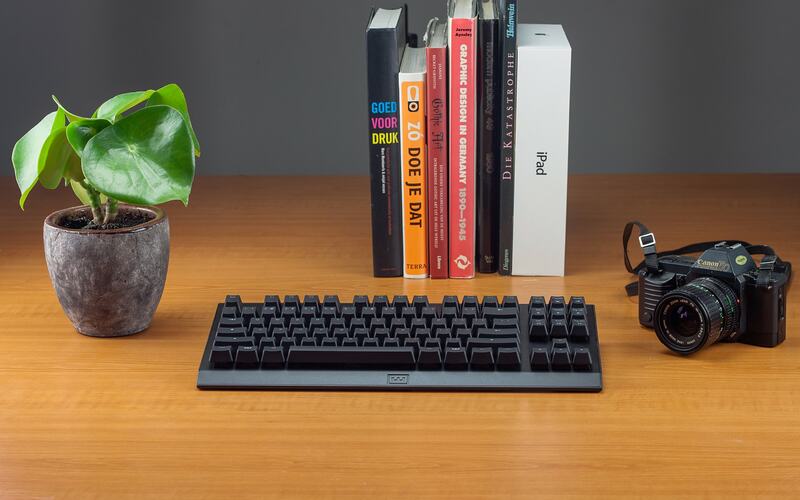 Thinking about buying a Wooting One now and update it with Brown switches when they release!. We are indeed hoping to be able to offer a brown switch in the future. It’s hard to answer your questions, since we’re very dependent on the developments of our switch manufacturer. The thing I can say for sure is that we’ll offer them as a separate package once they do come out. Great deals of important information and also great article also.